Revive Hope's focus is to revive hope by creating inspiration. This blog will have postings of inspiring stories about individuals directly affected by organ and tissue donation, provide information about organ and tissue donation, and inspire those who view the site to give hope through compassion! Don't know or don't care about RSS Feeds? Then you can get the latest posts and updates sent to your inbox. You have an inspirational story, an article, or new information about organ and tissue donation that you believe we should post a blog about, share it with us. It’s that time again – this is my 11th climb – this is my team’s 10th climb. We’re taking the stairs 94 floors, 1,632 steps, to the top of the John Hancock Center in Chicago for the Respiratory Health Association in the Hustle up the Hancock!!! It’s an awesome adventure – some might think even a little crazy – but I do it to honor and remember a beautiful girl from Iowa named Kari. I breathe with Kari’s lungs. My team is Kari’s Klimbers. This year I have another reason to continue this goofy stuff – another person to honor… Last May, one of Kari’s friends, neighbors and volleyball teammates gave me one of her kidneys. Kari has given me so many more amazing years to stay with Laura, and my family and friends. Last May, Alex added to those years. It’s within the realm of possibility that last year may have been my last climb – I was in kidney failure. After 12 years with Kari’s beautiful lungs, the drugs I take to keep her gift destroyed my kidneys. I would have likely been on dialysis by May, June or July and likely unable to climb in this year. But I’m not. I’m climbing. Because on May 8th, one of Kari’s friends – Alex – gave me one of her kidneys. It seems I'm slowly being rebuilt into a girl from Iowa. 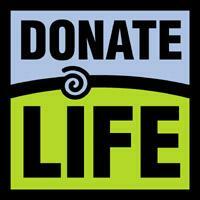 And finally, and very important to me - please consider organ & tissue donation, register to be a donor on your state' donor registry, and tell your family how you feel. I know a beautiful girl from Iowa who knew how she felt and she told her family - I think about her every single day. ORDER YOUR MY ANGEL FOUNDATION HOODIE TODAY!! Kari's Klimbers 2017 - Fifteen Times!